Experiments in cattle and sheep have shown feeding dried and ground red algae reduced methane emissions by up to 80 percent. 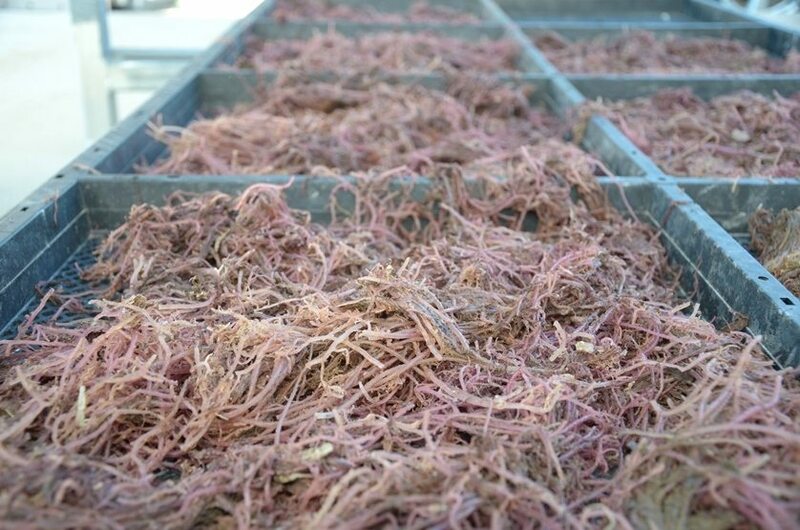 There is potential for red algae to play a major role in reducing methane emissions across all Australian livestock industries. INTEGRATING native plants in pastures and feeding red macro-algae as a supplement have been identified as two of a number of ways to substantially reduce methane emissions from sheep and cattle while increasing productivity, new research has shown. The strategies were identified as part of a three-year research program seeking to better understand methane outputs from cattle and sheep and how this can increase productivity. The National Livestock Methane Program was managed by Meat & Livestock Australia and funded by the Department of Agriculture and Water Resources, under the Filling the Research Gap Program. It also had support from Dairy Australia, Australian Wool Innovation and a number of research partners including leading universities, state governments, CSIRO, and other stakeholders. The NLMP’s technical coordinator Dr John Black said the program was designed to develop a better understanding of the science of methane emissions in livestock and to help Australian producers increase productivity and improve sustainability. “Methane research in the livestock industries is incredibly important to both the environment and pastoral profitability,” Dr Black said. “This is because between six and ten percent of the energy ingested by ruminants is lost as methane, which therefore has an impact on both productivity and emissions. One of the great outcomes of the research has been breaking the myth that it is not possible to reduce methane emissions in a ruminant animal without losses in productivity. “What we have found is that it is possible to reduce methane by up to 90pc, and at the same time have a positive influence on productivity which is clearly a win-win for primary production and environmental sustainability,” Dr Black said. Feeding grape marc – Feeding this by-product of winemaking was shown to reduce methane emissions in dairy cows by up to 20pc), sheep (up to 10pc) and cattle in feedlots – it is particularly useful when replacing forages with similar energy content. Best management practice for reproductive performance and feed utilisation – Improving reproductive performance, reducing the proportion of reproducing animals in a herd or flock and increasing the growth rate of animals for sale has been shown to reduce emissions by 3pc and increase productivity by 20pc. MLA sustainable feedbase manager, Dr Tom Davison, said a number of other practices with potential to further improve emissions had also been identified under the NLMP project and would underpin future research. These include feeding red macro-algae which grows off the coast of Australia; providing bioactive compounds from plants as supplements; vaccinating against organisms that produce methane in the ruminant; selecting for plants which have the ability to reduce methane; and identifying animals with smaller rumens and different populations of microorganisms which are genetically geared to emit less methane. “In the past five years, science has come a long way towards understanding the complex relationship between methane emissions and productivity in livestock and MLA will keep investing in this crucial area of research,” Dr Davison said. “We are constantly looking for greater efficiencies for producers to apply across their businesses and we know that with ongoing investment and research in the field, we can further reduce emissions and raise productivity gains for the long term benefit of the livestock industry. Click here to access the full project report. Click the image below to access a short video outlining the research results.